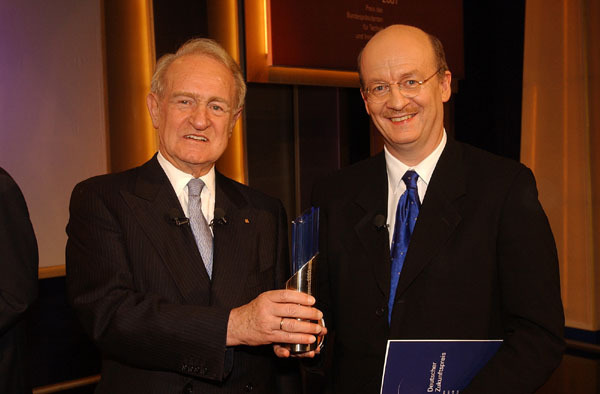 Prof. Dr. Dr. h.c. mult. 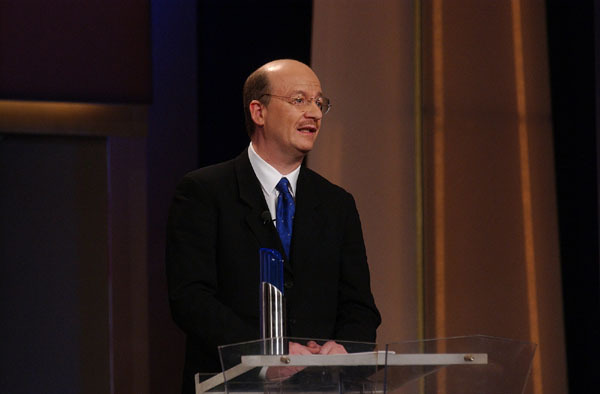 Wolfgang Wahlster was the first computer scientist to receive the German Future Prize – the German Federal President's Prize for Technology and Innovation – at a ceremony held at the Max Delbrück Communications Center (MDC.C) in Berlin in 2001. 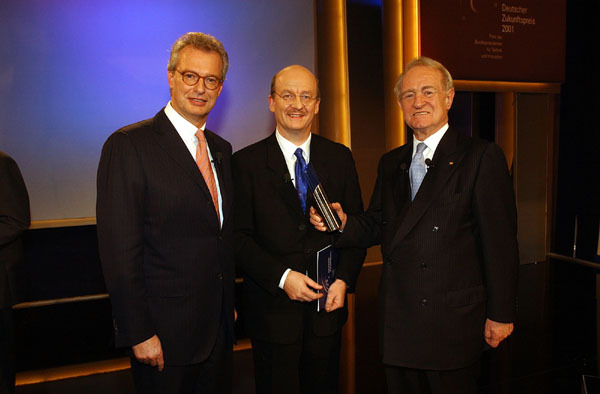 The Federal President's Prize is awarded annually for outstanding technical, engineering or scientific innovations. 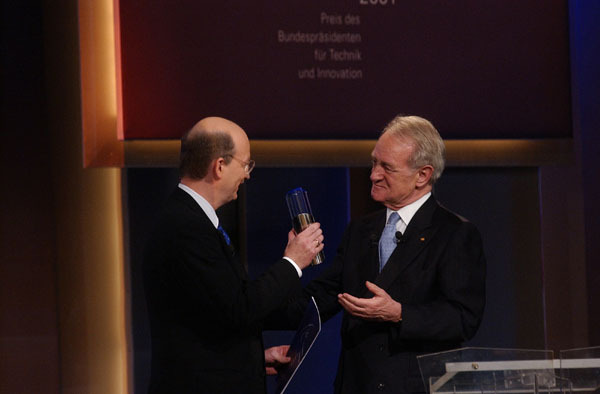 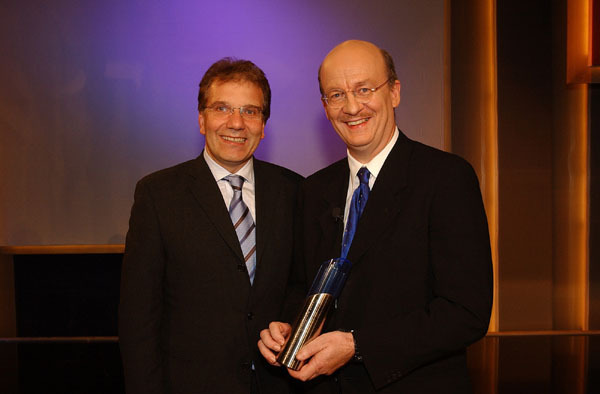 Johannes Rau, the German President in office in 2001, presented Prof. Wahlster with the German Future Prize, endowed with 500,000 DM at the time, for his project "Language-understanding computers as dialogue and translation assistants". 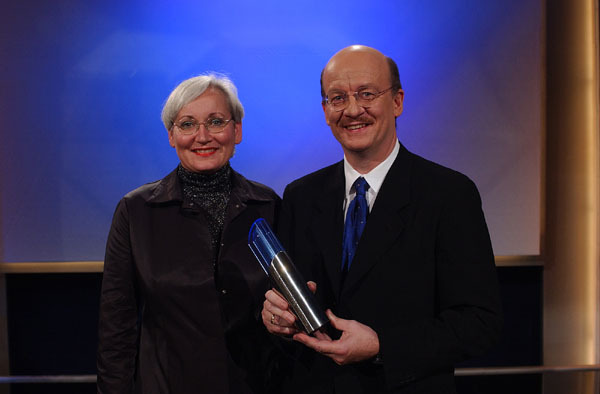 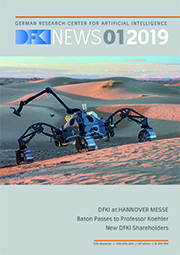 Prof. Wahlster said in his acceptance speech: "I am happy to receive this prestigious award right now in the middle of my research life – and not at the end of my active career. 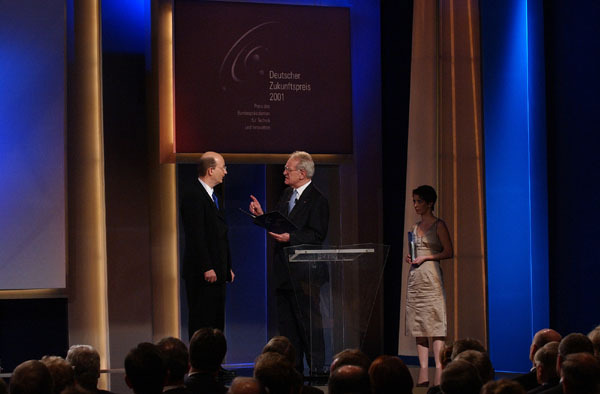 For me, the prize is both an stimulus and an obligation to tackle important open problems of human-technology interaction in my further research activities, to create innovations for the realization of a humane knowledge society and to inspire and train as many young students as possible for this fascinating field of computer science. 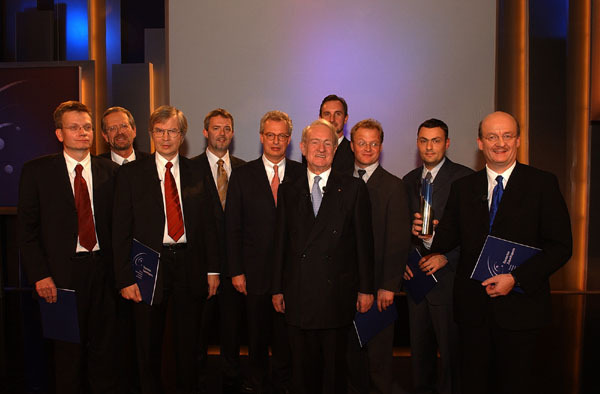 The German Future Prize has been awarded annually since 1997 and recognizes projects which, based on excellent research, lead to marketable products that are ready for application and create jobs. 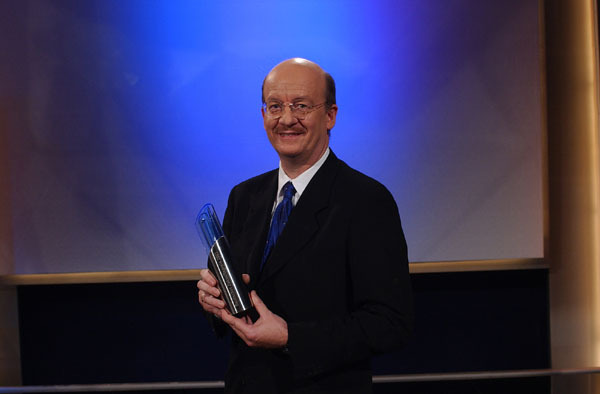 The award honors Prof. Wahlster's achievements in computer science research and his worldwide reputation as one of the leading scientists in artificial intelligence and language technology.